Noe drawbacks of rifling gun barrels is that they allow a small amount of the expanding gases to exit the gun in all directions before the bullet itself does—decreasing its velocity and increasing recoil. A projectile design by Comp Bullet aims to overcome these issues with vented rounds. According to the Italian firearms maker, these vents cause gas to discharge symmetrically behind the bullet as it leaves the muzzle. This creates a muzzle brake, which reduces recoil, and a "rocket" effect that purportedly helps the round maintain velocity. 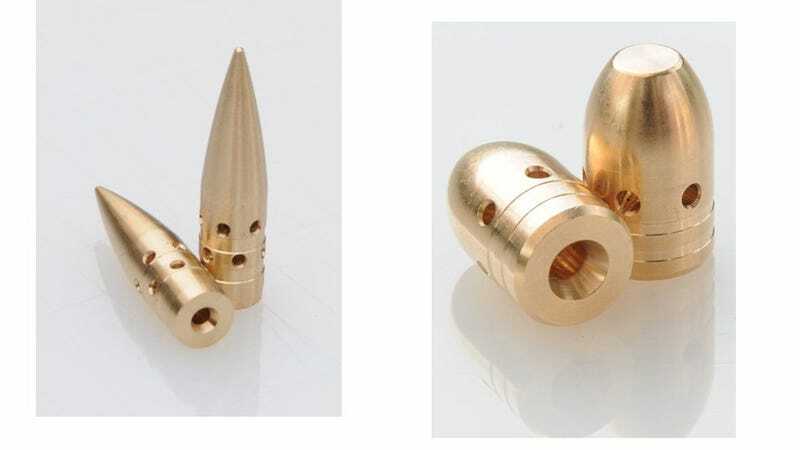 The vented rounds are composed of a copper alloy and available in many sizes from 9mm up to .30 caliber.